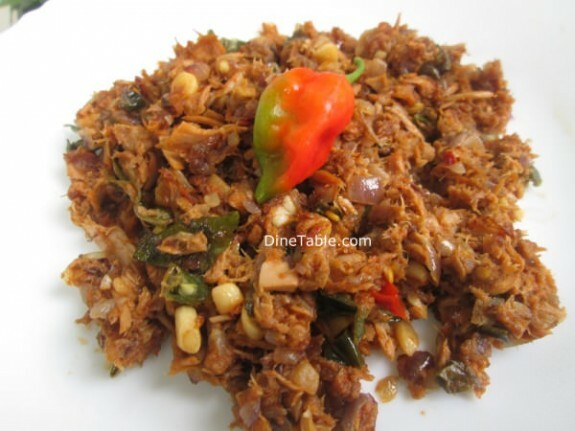 Kerala Style Canned Tuna Thoran Recipe is a dry side dish made using canned tuna. 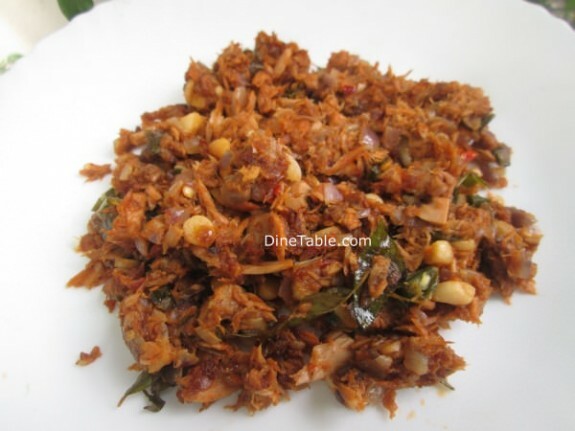 Tuna Fish is known as Choora in Malayalam. 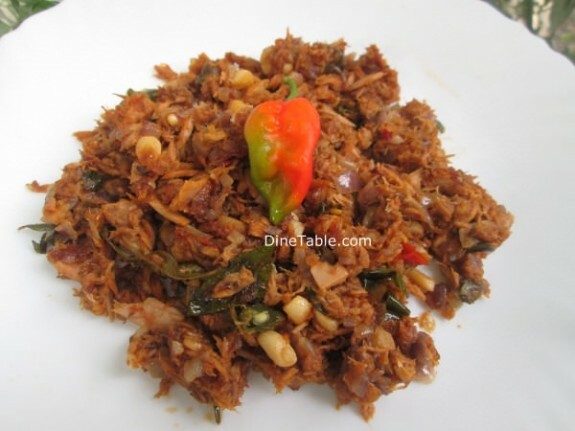 Kerala Style Canned Tuna Thoran Recipe is an easy and delicious side dish. 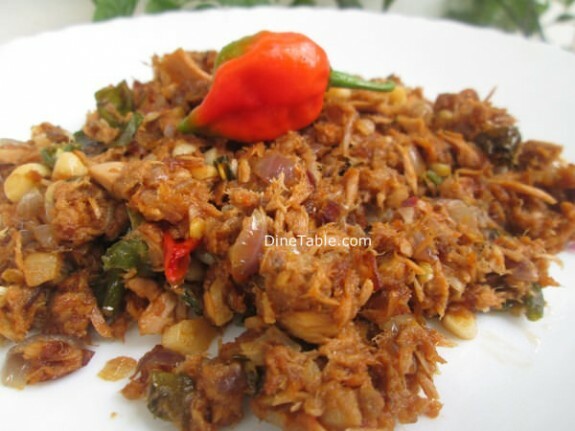 Tryout this yummy fish thoran at your home. Tuna provides an important dietary source of the long-chain omega-3 fatty acids needed for good heart health, brain function and normal growth and development. 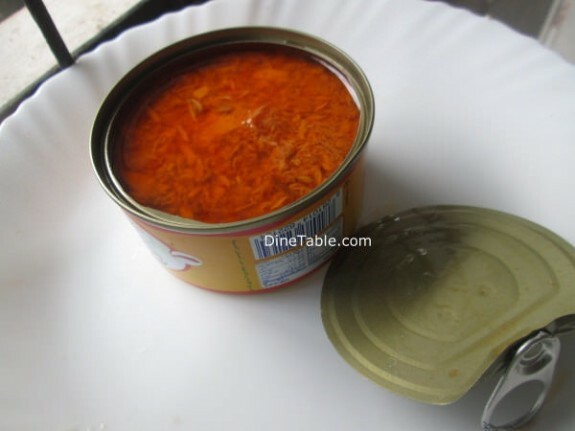 Canned fish are those which have been processed, sealed in an airtight container such as a sealed tin can, and subjected to heat. 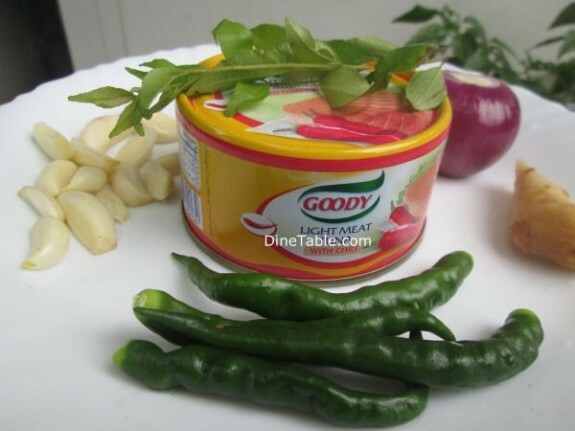 Canning is a method of preserving food, and provides a typical shelf life ranging from one to five years. 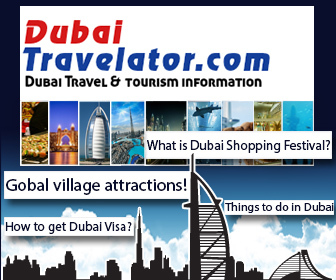 click here for other delicious fish recipes..
Open the tuna can and carefully drain the tuna and keep it aside. Heat coconut oil in a pan and add mustard seeds. 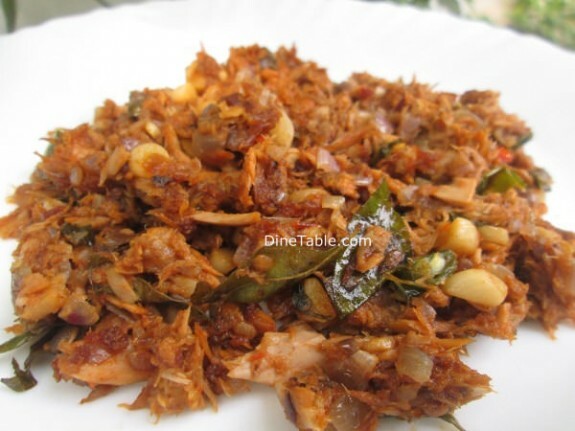 When it crackles, add curry leaves, finely chopped ginger and garlic into it and saute for 2 minutes. 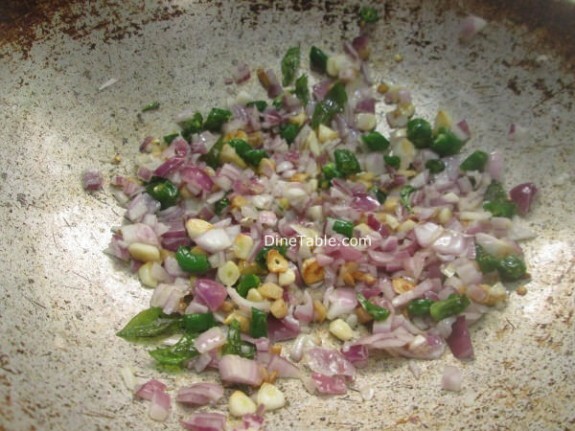 Add chopped onion and green chillies into it and saute till onion turns translucent. 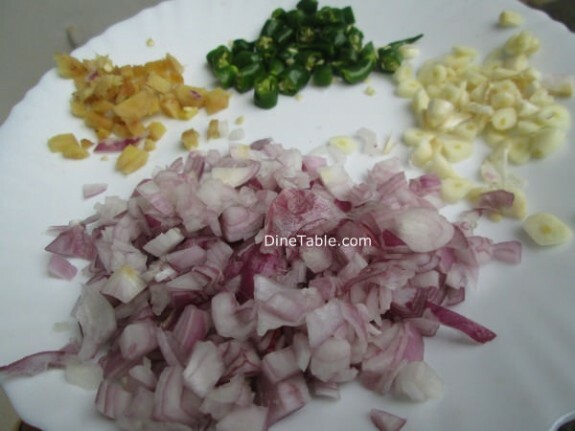 Add red chilly powder, turmeric powder, coriander powder and garam masala to it and fry for 2 minutes. 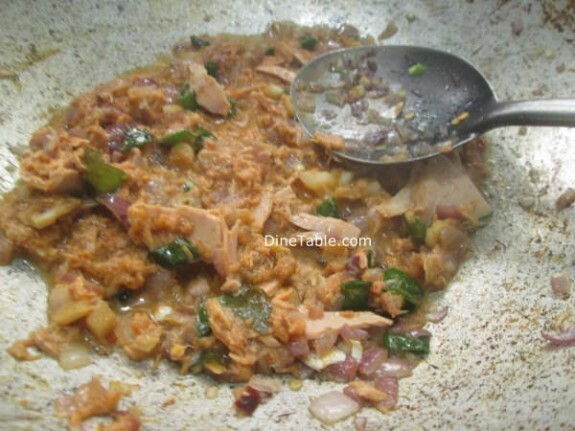 Then add drained tuna along with enough salt and mix well. Saute the mix for nearly 10 minutes or until it is dry and brown. Switch off the flame. Tasty Kerala Style Canned Tuna Thoran is ready.